Although PNG has made a lot of progress towards resolving issues of domestic violence, there is still more to be done. Encouragingly, the issue is no longer just a donor driven conversation, rather PNG’s rise of civil society has played a major part in growing the movement towards change. Coined “enough is a enough” – many high profile members including the Police Commissioner and the Commander of the PNG Defence Force have stepped up to ensure this powerful motto continually reverberates through the veins of PNG life. In support, the government, donors and private entities have also pledged their commitment to encourage change. Although these coordinated prevention and advocacy efforts have lead to new laws being passed and support services established, Stephanie Copus Campbell, Executive Director of Oil Search Foundation, further details the need to carry on leveraging this collective interest to continue the provision of support services and advocating for change. Read more. This project is supported by the Australian Government in partnership with the Government of Papua New Guinea through Pacific Women. 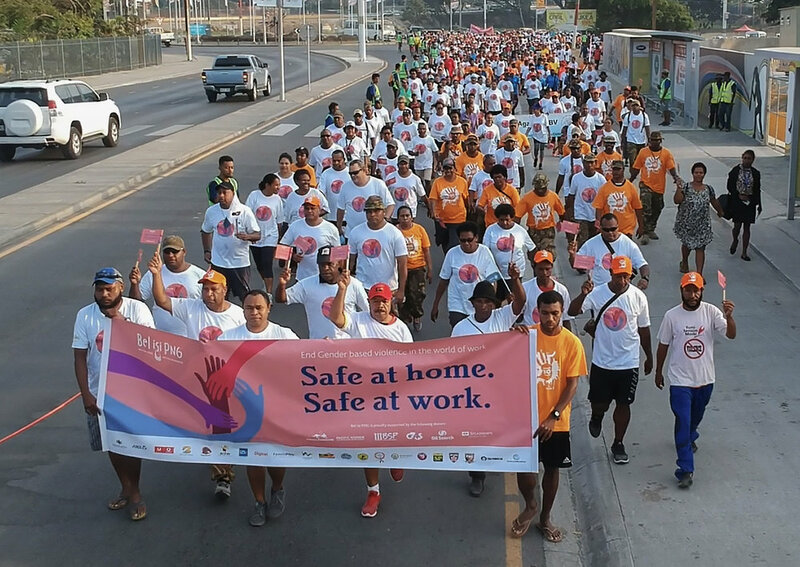 Bel isi PNG brings the private sector, civil society and government together to provide services and inspire leadership to address family and sexual violence in Port Moresby.